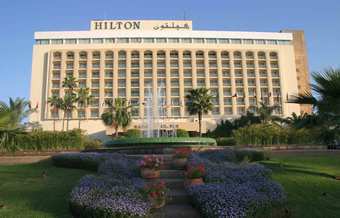 Located on the ring road of Rabat overlooking the city walls and the Royal Palace, the Rabat Hilton Hotel is a reliable and comfortable business hotel. Set in attractive gardens, the hotel has its own shopping mall. For relaxation, the hotel offers a large swimming pool, a fitness centre, tennis courts and special privileges at the Royal Dar Es Salam Golf Club. Situated in the heart of the Kingdom’s capital, the Bélère Rabat is merely 100 meters from The Royal Palace as well as from the national train station. It is 25 minutes away from the Rabat-Sale International airport, and 50 minutes away from the Casablanca International airport.